Corporate teams on Friday night, competitive on Saturday. All teams guaranteed four games. Two refs and 1 scorekeeper on every court. All proceeds go to help kids in Lincoln. A fun, after-work event to raise money, bounce some balls and enjoy the night. Emphasis on fun, no heroes. Perfect for coworkers to come cheer. 21 and older, any gender make-up. and other stuff you'll love. 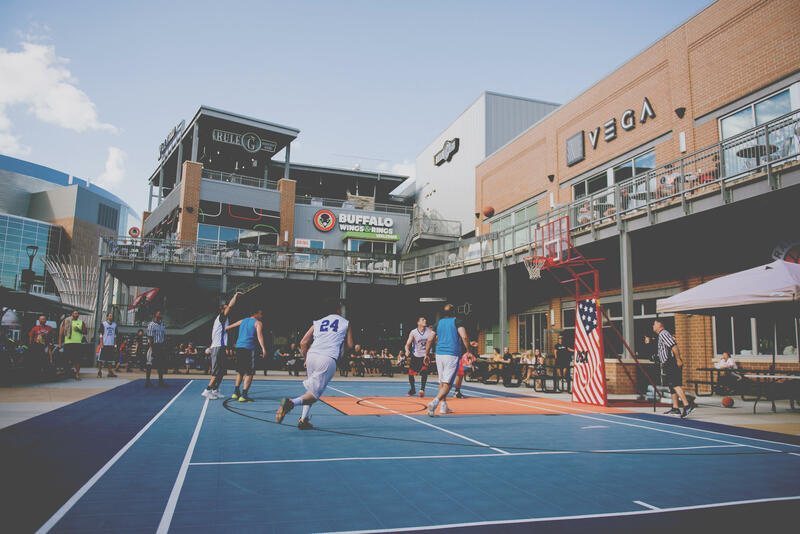 Street ball comes back to Lincoln in our competitive 3-on-3 tourney. Round robin followed by double elimination. Two brackets of playing levels. 18 and older, any gender make-up. All proceeds go to support those who help kids in our city. And these are the companies helping them.